Did you say "Ick" when you read "Brussels Sprouts?" 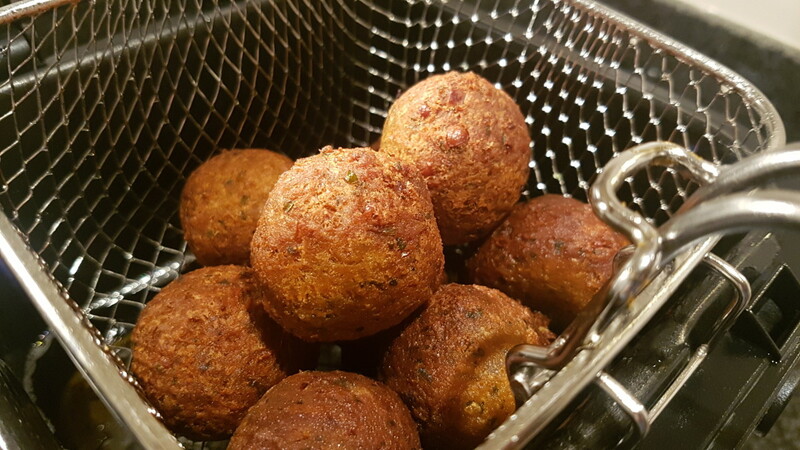 You will be shocked at the taste of these little guys once you've tried this recipe. It wouldn't be a surprise if you come begging for more! Being infused with garlic, sea salt, and black pepper and then caramelized with butter just makes these bad boys good once in for all. Though Brussels sprouts are known to be a "winter" food and served at holiday dinners, they are actually great anytime of the year. That is, if you can find them in your local grocery store or farmer's market. 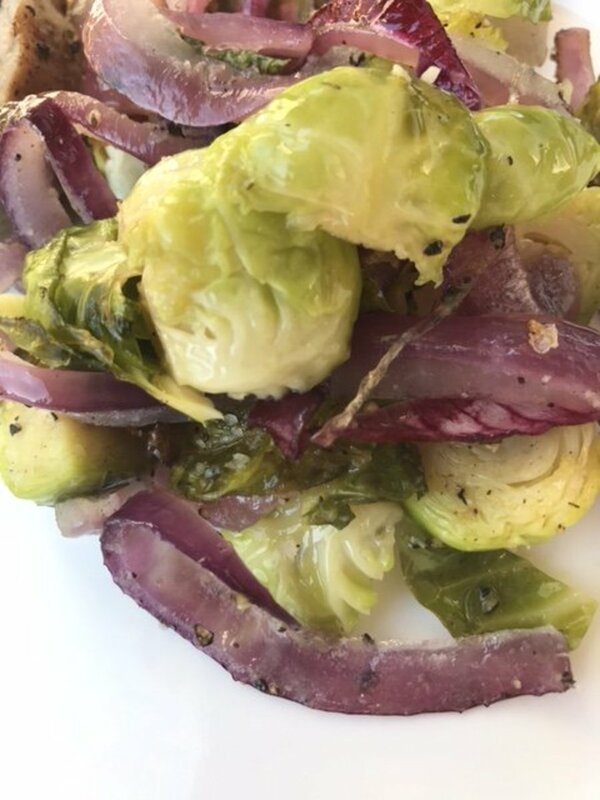 This Garlic Roasted Brussels Sprouts recipe is not only ready to please, but it will also fuel your body with high octane energy. Brussels sprouts naturally contain mega anti-oxidants that will act at your defense against any free radicals. In combination with sweet garlic and extra virgin olive oil, your protective levels are only multiplied. An army of dangers couldn't penetrate the protective guard of Brussels sprouts. 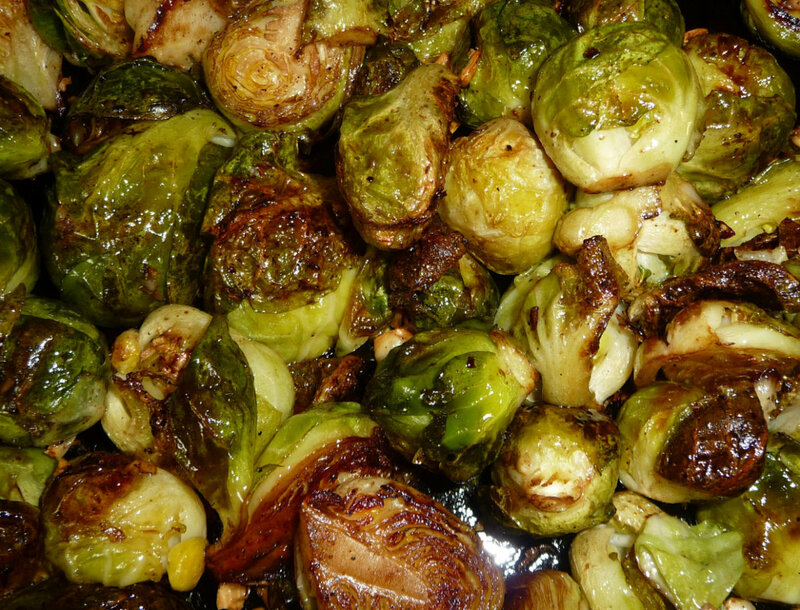 Not only does this Garlic Roasted Brussels Sprouts recipe taste delicious. If you're looking to boost metabolism and shed a few unwanted pounds of body fat, then Brussels Sprouts gives you that advantage. So eat up! Make This a Top Rated Recipe! Yields: Serves 6 people at 3/4 cup each. 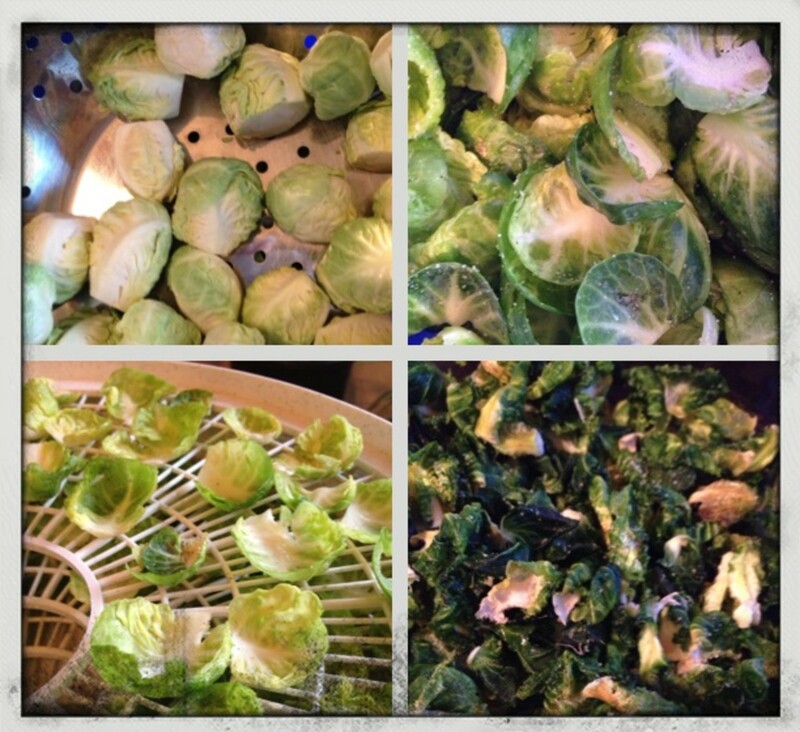 Wash Brussels sprouts thoroughly. You may use Fit Fruit and Vegetable Wash to be certain to remove any fertilizers, dirt, or other residues. Pat dry with paper towels. 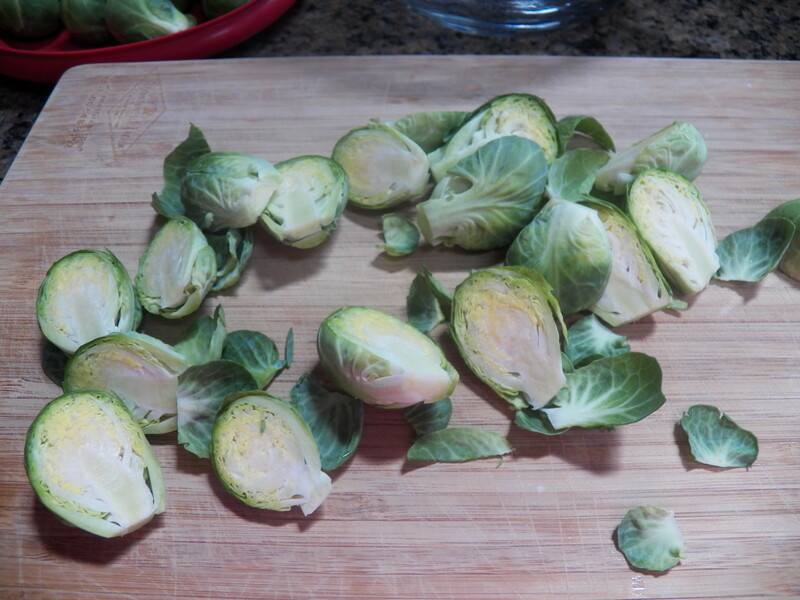 Remove any outer yellow leaves of the Brussels sprouts and throw away. 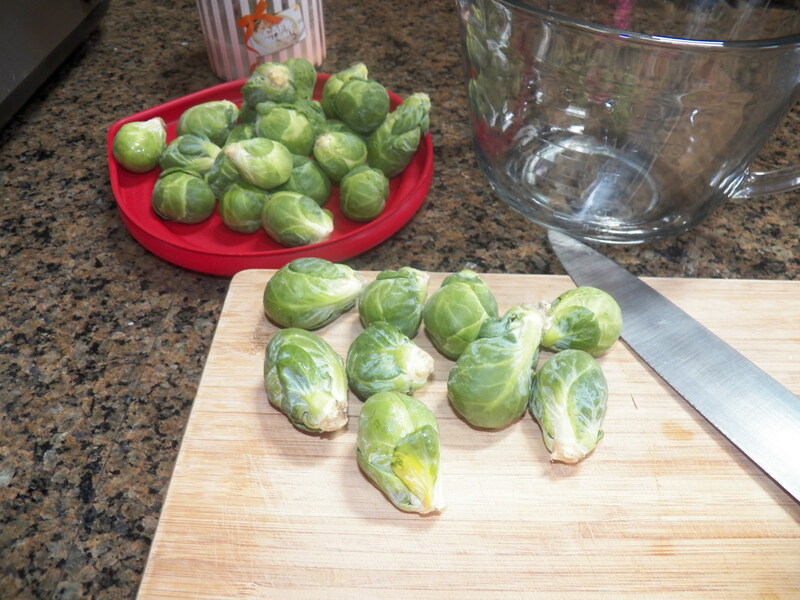 With a sharp knife, cut off and throw away the ends of the sprouts. 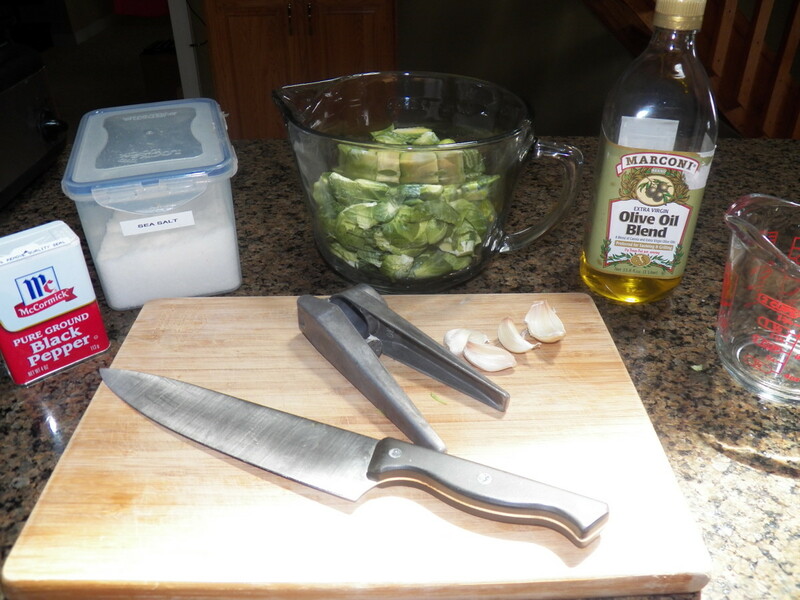 Then cut sprouts in half lengthwise. Put in large bowl and set aside. Gather all other ingredients: extra virgin olive oil, sea salt, black pepper, and butter. You may want to gather some kitchen utensils as well: measuring cup, garlic press, and small whisk. If you don't have sea salt, you may use kosher salt or even table salt; however, it may not have the same tasty effect. 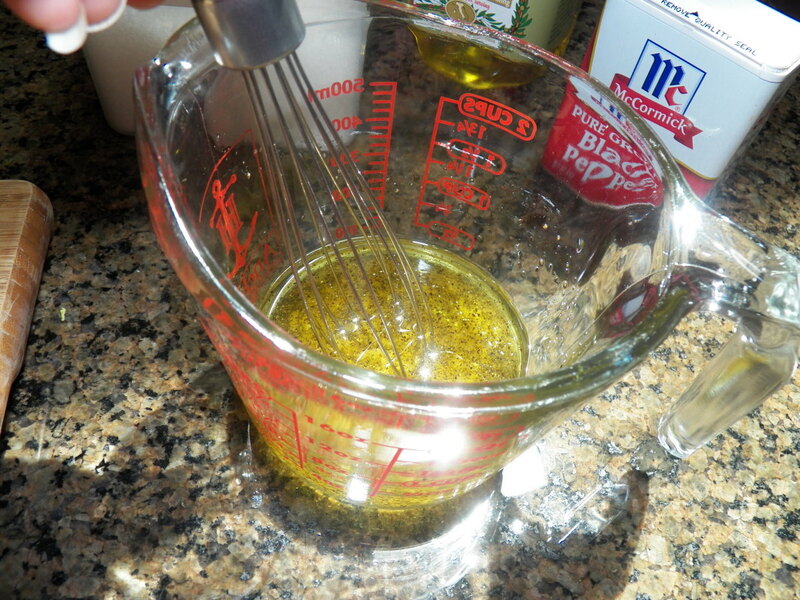 In a measuring cup, measure out extra virgin olive oil. Add pressed garlic, sea salt, and black pepper. Stir well. 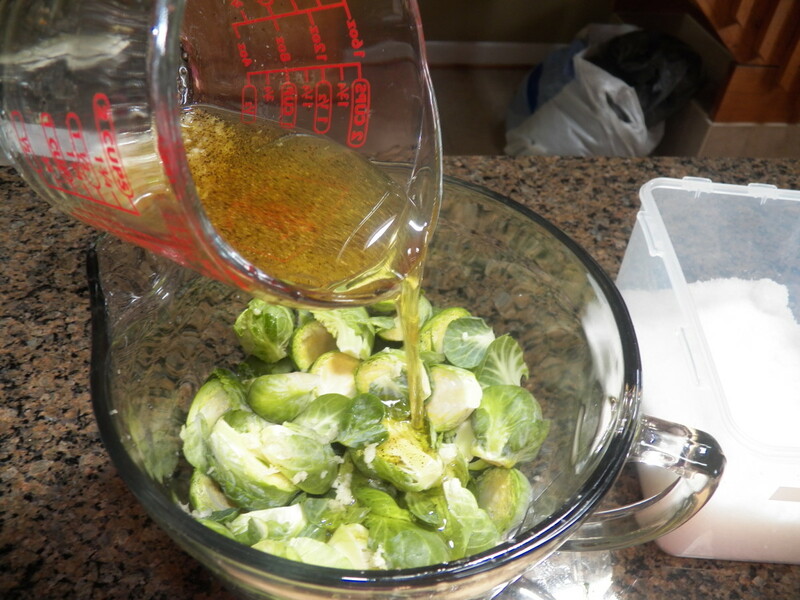 Pour mixture into the mixing bowl with Brussels sprouts. Stir until all sprouts are coated. 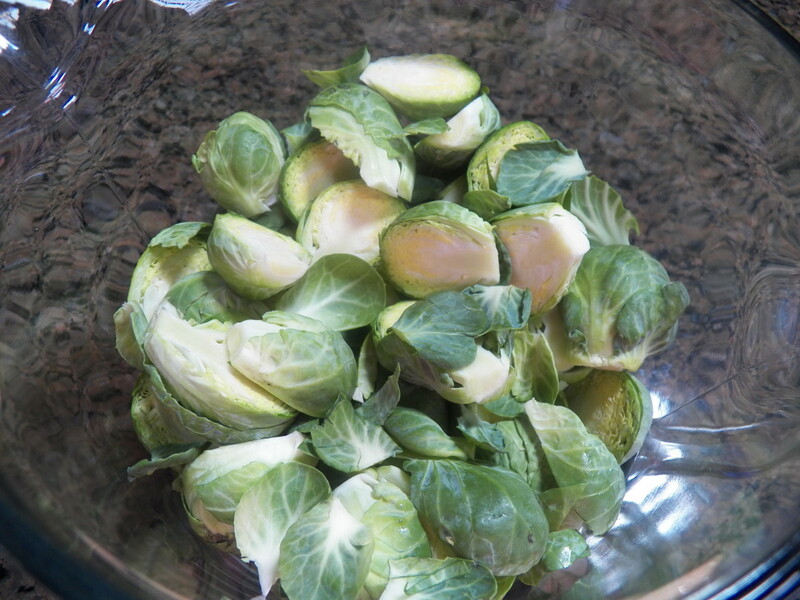 Cover Brussels sprouts and refrigerate until ready to cook. If you are in a hurry, set sprouts aside and prepare your meats and other dishes. Cooking the sprouts only take approximately 8 minutes, so you can cook these quickly and easily when ready. Refrigeration seems to infuse the tastes better, but there is nothing wrong with cooking them right after preparation. Heat stove top or electric skillet on medium-high heat and allow to get hot for three to four minutes. As a note, the electric skillet allows the Brussels sprouts to cook easier without sticking, thus leaving the shape of the sprouts in tact. It also allows plenty of room for stirring. Add butter to skillet and allow to melt and heat for approximately one minute. 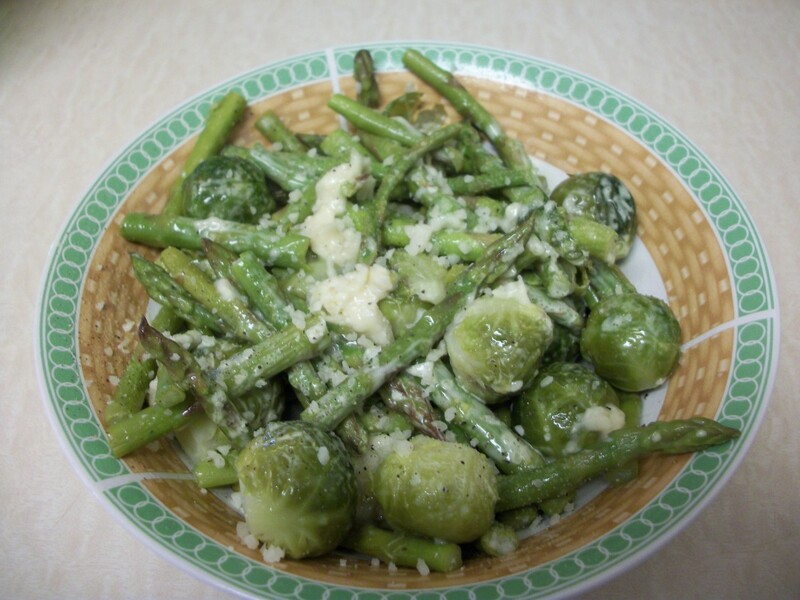 Though the Brussels sprouts are already coated in extra virgin olive oil, the butter gives the sprouts a nice caramelized flavor. Add Brussels sprouts to skillet and cover. Stir occasionally to allow all sides to brown. Pan roast for 8 minutes or until tender (your liking). The sprouts will be golden brown. Remove from skillet and serve with protein such as lean beef, chicken, turkey, pork tenderloin, or fish. You may even add a small serving of starchy carbs like brown or wild rice, potatoes, sweet potatoes, or quinoa. Why not take this benefit today? Cook yourself some Garlic Roasted Brussels Sprouts! 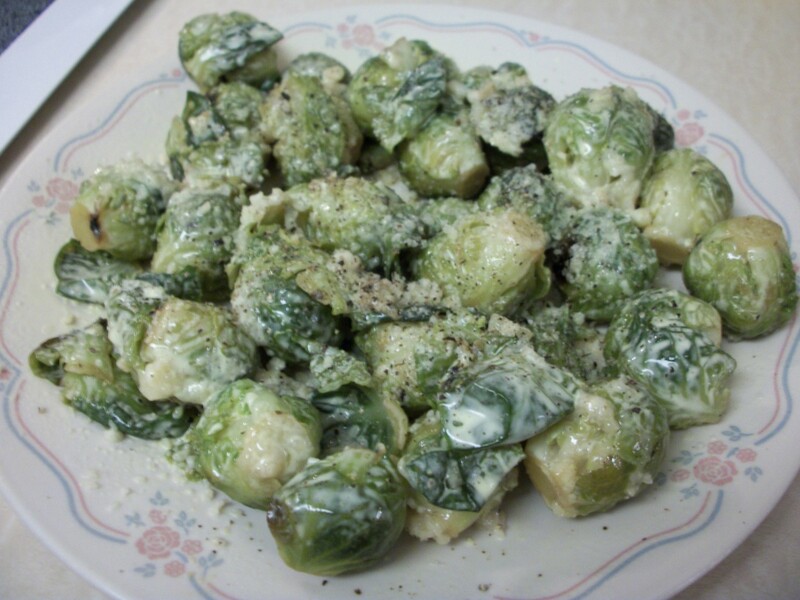 You're reading "Garlic Roasted Brussels Sprouts Recipe" by Abby Campbell. 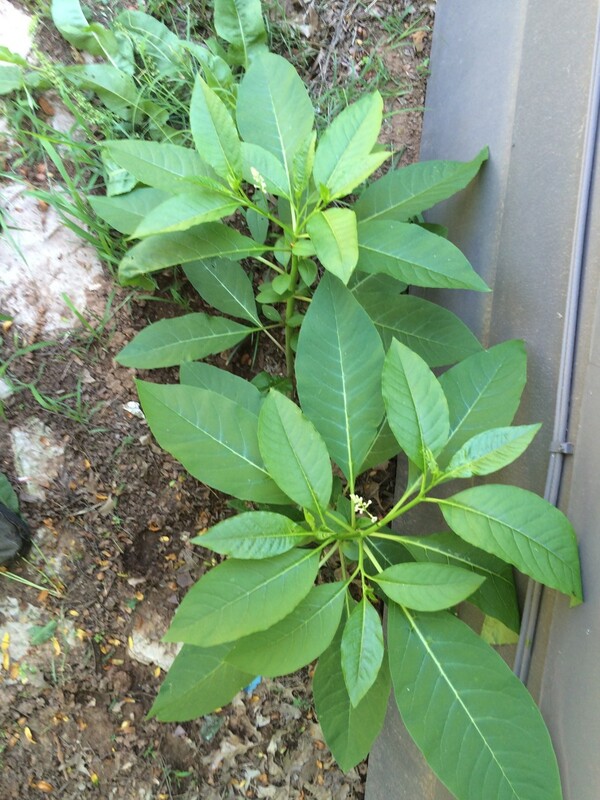 Please rate it, leave a comment, and tell us what you think below. Then share the recipe article with your family and friends. You may even share on Facebook, Twitter, or Pinterest (buttons to your right). I do love brussels sprouts any way you want to prepare them. Garlic roasted sounds like a great recipe. I'm glad you enjoyed it, Akshaya! It's one veggie I never really liked until I came up with this recipe. Have a wonderful day! Can't wait to try this delicious looking recipe! 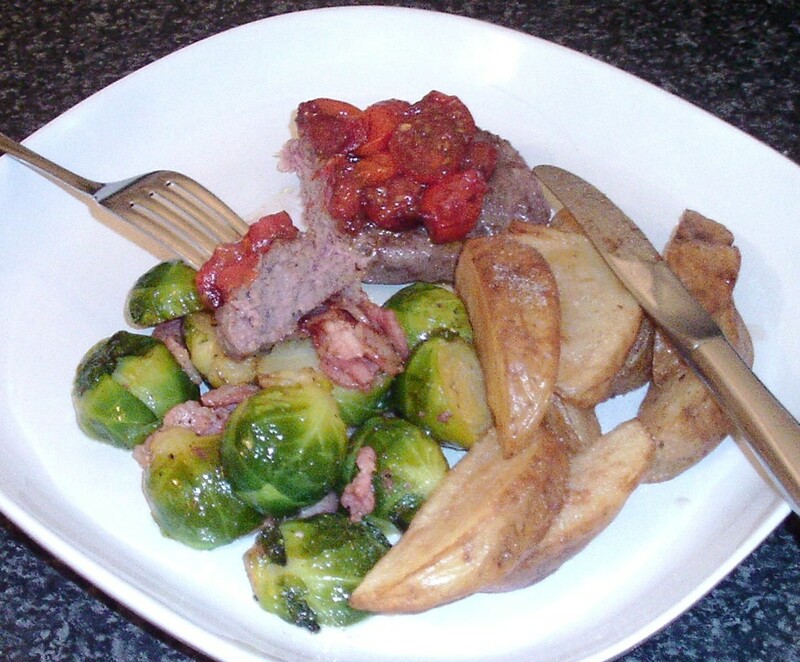 I was so in the mood for them that I had Brussels sprouts with garlic, and some leftover potato, for supper last night. Mmm, delicious! Looks yummy! I, too, like Brussel sprouts and this looks like a great change to the way I generally prepare them. Thanks for sharing this with us. Voted up. Just revisiting this... I just bought some recently (although the frozen variety, not fresh), and this is a great way to season them! I have garlic left, so this will be the perfect accompaniment. Mmmm. Have a great week, Abby. I just love Brussels sprouts, so I will surely try this. Thanks for giving me a new way to try my tasty "little cabbages." I just love this. Voted way und shared! Anything with garlic sounds good to me :-) Thanks for the recipe! I saved this recipe and look forward to giving it a try. No need. We live here in the land of plenty. 3 crops a year for most veggies. I actually love brussel sprouts but only make them once in a while but with your recipe, I'm looking forward to making them again soon. Sounds and looks yummy. Thanks! Very good morning to you, Colin! :-) Thank you for stopping by my HubPage. You do bring me giggles. I love your sense of humor and the laughs. Yes, Brussels sprouts can definitely bring on a windstorm. Hopefully, the garlic calms it down somewhat. LOL. As always Abby your hub presentations are world class all of the way and I can tell that each one is like a true labor of love for you and I will share and link with enthusiasm and pride to my FB wall for everyone to see. Thank you once again for the way you put together each hub with information with such awesome detail and images to show each step. We are having our holiday weekend here in Canada and on Monday it is Canada day - both cats are out back lounging in the sun and there's a lovely southwest breeze off the lake in a day that is warm but not too hot. The first 6 months I lived in Sterling (near D.C.), where my mother's family lived, and the other 9 years I lived further down, in Lynchburg. I have liked Brussels Sprouts ever since I lived in Virginia. Once in a while I get a batch that doesn't taste quite right, but usually they are tasty. I haven't had them in a while, so I'm glad you reminded me of them. Mmmm, I love anything with garlic. I will be sure to add this to my next grocery list, and try it out. Thank you for sharing this recipe with us! I love that you've transitioned to recipes to supplement your healthy living articles! While I ate very few vegetables as a child, I'm loving them more and more now...these look delicious. brussel sprout looks awesome to me. Easy to cook with garlic too. This recipe is a keeper. Thanks for sharing. Great recipe here. Thanks for sharing. Love brussel sprouts, but with the added roasted garlic, yum!! !